As reported Nasa, Gravity Recovery And Interior Laboratory (GRAIL) orbiting the moon officially have begun their science collection phase. During the next 84 days, scientists will obtain a high-resolution map of the lunar gravitational field to learn about the moon’s internal structure and composition in unprecedented detail. The data also will provide a better understanding of how Earth and other rocky planets in the solar system formed and evolved. The GRAIL mission’s twin, washing-machine-sized spacecraft, named Ebb and Flow, entered lunar orbit on New Year’s Eve and New Years Day. During this mission phase, the GRAIL spacecraft will transmit radio signals precisely defining the rate of change of distance between the two. The distance between the GRAIL spacecraft will change slightly as they fly over areas of greater and lesser gravity caused by visible features such as mountains, craters and masses hidden beneath the lunar surface. 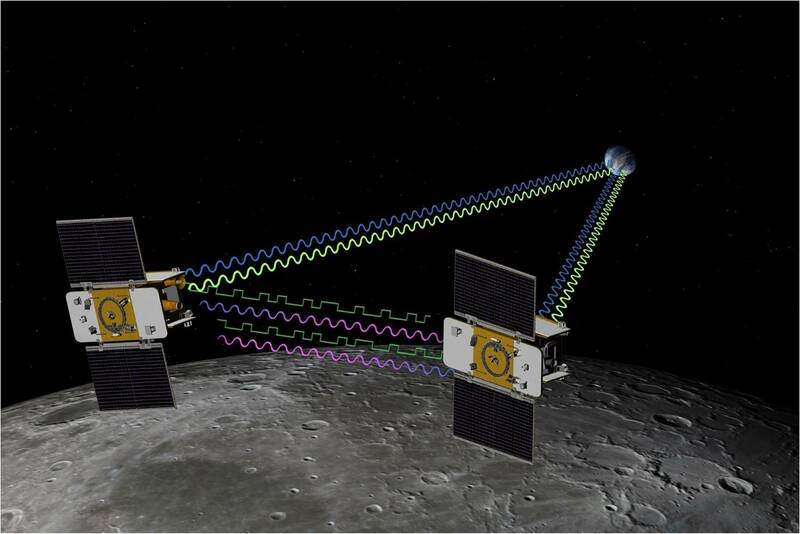 Science activities are expected to conclude on May 29, after GRAIL maps the gravity field of the moon three times. The two GRAIL spacecraft were previously named GRAIL A and B. The names Ebb and Flow were the result of a nationwide student contest to choose new names for them. The winning entry was submitted by fourth graders from the Emily Dickinson Elementary School in Bozeman, Mont. Nearly 900 classrooms with more than 11,000 students from 45 states, Puerto Rico and the District of Columbia, participated in the contest. The Gravity Recovery and Interior Laboratory (GRAIL) is an American lunar science mission in NASA’s Discovery Program.